What could be a better way to beat the Mumbai heat than chill in an ice lounge? 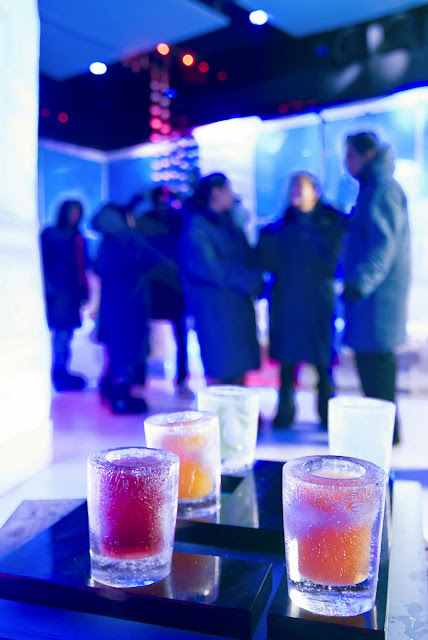 I visited India’s first ice lounge which maintians a – 6 degree temperature thoughout the year. It is called 21 Fahrenheits (approx – 6 degree celcius). It was launched towards the end of 2009 but has become very popular over a short period of time. 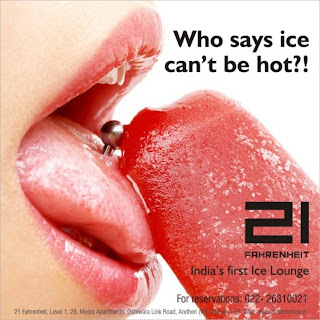 I thought it will be a good idea to write 21 fahrenheit mumbai review to help readers of this blog know it better. They have a the Ice Lounge on the first level and a fine dining restaurant on the second level so if you are not too keen to enjoy the freezing shots, opt for a more warm and hospitable dining experience. There menu includes a wide range of delectable dishes. But I want to focus on the Ice Lounge because it is one of a kind. It has everything made from ice, including glasses for drinks, Light shades and even curtains. You can order food too. Though the choices aren’t much but they do serve food in the Ice Lounge which doesn’t happen anywhere around the world. You are given a parka or warm coat as well as shoes so that you can comfortably walk on the ice floor. A mini dance floor will give you enough opportunity to shake a leg. A bar serving all kinds of liqueors and fun shots keeps you entertained all night long. (Loved Jello Shots) The bar tenders are experienced and prompt with their services. Though many will find that this is steeply priced but this will certainly give you a lifetime’s experience. Kids above 5 years are allowed too. So anytime you want to deal with heat, head towards 21 Fahrenheit. Tagged 21 Fahrenheits, icebar, Mumbai restaurants.